I said, no. She asked for the third time. I said no for the third time. Why wouldn’t I do a venous procedure on a patient whose venous mapping study was normal and she just didn’t like those blue-green veins? She had four procedures before and it seemed to help a little. “It was a laser,” she said. Her symptoms of numbness and fatigue never went away. Her presence of absent bulging veins, skin changes or swelling equaled in her mind a venous procedure. The “colleague” who performed those procedures on a patient planned on three more that week. “What do you mean you would do nothing? What am I going to have this week? I was supposed to have a procedure today and two others this week,” she said. This was, unfortunately, not my first encounter with a patient with such a story. She was my sixth or eighth. By now, I have lost count. Was I missing something? Based on her ultrasound and physical exam, she would not need a procedure. But, was her presentation different when she saw the other physician? Was she telling me the whole story? Medical ethics usually is a one-sided encounter. Since my training, there has been more push for patient-centered medical decision-making. The patient decides what they want to do based on the information given to them. Does that mean then I am absolved of the consequences of the medical care rendered? In this particular scenario, this patient educated herself to correlate her symptoms to venous disease. When she continued to have symptoms with her legs, she felt I was providing her with unethical medical advice. When I offered no medical treatment, I felt pressured to give her an answer that would appease her. I only offered her sclerotherapy (cosmetic) and assured her that her symptoms would not be relieved—only the appearance of the vessels. I also discussed the use of B-complex vitamins that she can consider to try for her symptoms. She was also told that she can consider B12 laboratory testing. She called me two months later to tell me her over-the-counter vitamin supplement choice cured her symptoms. With the pressures of online reviews and online reputation management a key focus in the success of medical practices, this particular visit had me slightly concerned—both for myself and the other physician. Was I able to evoke trust with this patient? I did not want to defame the other physician in the process. I did not want her to defame the other physician either. Could I actually influence her patient duty to be truthful with me? Did she dictate the care given to her at the other facility with inaccurate symptoms or history? Let’s put a twist into the case and give her varicose veins, truncal vein insufficiency, and a perforator feeding an active, gaiter-region ulcer. Once done, the venous mapping is discussed with the patient and option(s) for treatment is given. The patient decides to not undergo any procedures and continues with Unna boot treatments with the wound center for years and develops recurrent ulcers about every two years. She continues to worsen with lipodermatosclerosis and atrophie blanche and years later, ends up with recurrent cellulitis and lymphedema. She may feel she should have had a procedure, she may not. Who is responsible for the long-term sequelae that the patient chose? Is it the wound center that may not have encouraged her venous ulcer treatment (more definitive)? Is it the physician who explained the procedure and just couldn’t convince her to have a procedure done? Perhaps the patient is the vulnerable one and therefore the liability, responsibility, and the ultimate medical decision lies with the physician—despite the patient being informed. However, the consequences of the patient making the choice to not have treatment arguably cost more long-term physical, mental, and monetary sequelae—not only to the patient, but also the health-care system. The health insurer paid for the recurrent visits and the employer pays for the lost work-days through medical and vacation leave. As stated in the American Medical Association’s Code of Medical Ethics, Patient Responsibilities Code of Medical Ethics Opinion 1.1.4, successful medical care requires ongoing collaboration between patients and physicians. Their partnership requires both individuals to take an active role in the healing process. Are truthful and forthcoming with their physicians and strive to express their concerns clearly. Physicians likewise should encourage patients to raise questions or concerns. Provide as complete a medical history as they can, including providing information about past illnesses, medications, hospitalizations, family history of illness, and other matters relating to present health. Cooperate with agreed-on treatment plans. 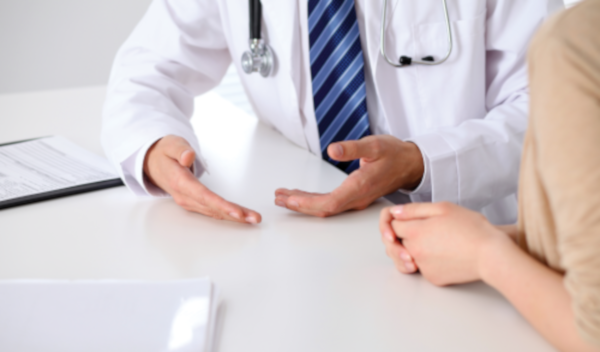 Since adhering to treatment is often essential to public and individual safety, patients should disclose whether they have or have not followed the agreed-on plan and indicate when they would like to reconsider the plan. Accept care from medical students, residents, and other trainees under appropriate supervision. Participation in medical education is to the mutual benefit of patients and the health-care system; nonetheless, patients’ (or surrogates’) refusal of care by a trainee should be respected in keeping with ethics guidance. Meet their financial responsibilities with regard to medical care or discuss financial hardships with their physicians. Patients should be aware of costs associated with using a limited resource like health care and try to use medical resources judiciously. Recognize that a healthy lifestyle can often prevent or mitigate illness and take responsibility to follow preventive measures and adopt health-enhancing behaviors. Be aware of and refrain from behavior that unreasonably places the health of others at risk. They should ask about what they can do to prevent transmission of infectious disease. Refrain from being disruptive in the clinical setting. Not knowingly initiate or participate in medical fraud. Report illegal or unethical behavior by physicians or other health-care professionals to the appropriate medical societies, licensing boards, or law enforcement authorities. Patient responsibility is not a new concept. The American Medical Association published its first Code of Medical Ethics in 1847. I would beg to add to research standard of care treatments readily available by the professional societies the treating physician belongs to. For example, the American Vein and Lymphatic Society has several pages on patient education in regards to venous disease, including deep vein thrombosis (DVT). The medical professional organizations, as a whole, have become hubs for patient education and information. They have also become a source where patients can find physicians in their area for care. An open, honest dialogue between patients and their physician should be encouraged. Medical history given by the patient should be accurate and consistent from office to office so that appropriate care can be administered. Electronic medical records and electronic prescription have made all this better; there is still much that needs to be addressed in this arena. Thus, there are still loopholes that patients can find to get what they feel is right, ethical or not. In the end, we need to be true to our profession and hold our ethics near and dear. As I ponder this encounter multiple times since it happened, I find myself on guard from others who will try to strip my code of medical ethics away—whether it’s insurance dictating my care of my patients or patients dictating the care they want and not need. I would encourage all of us to stay true to our profession and ourselves. It’s OK to say no. 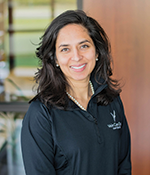 Dr. Manu B. Aggarwal, MHSA, MD heads the Vein Care Center in Lima, Ohio, and she brings an amazing combination of precise skill and experience to the practice. 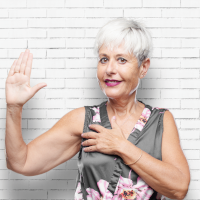 Her compassionate nature shines through, and her friendly care has allowed patients to be relieved of their discomfort while eliminating the risks that are associated with chronic vein disease. Working together with her highly trained staff, everyone at the Vein Care Center is happy to evaluate your condition, create a customized plan and answer any questions that you have about treatment today.